Gardner Construction is a small business independently owned and operated by E. Cabell Gardner. 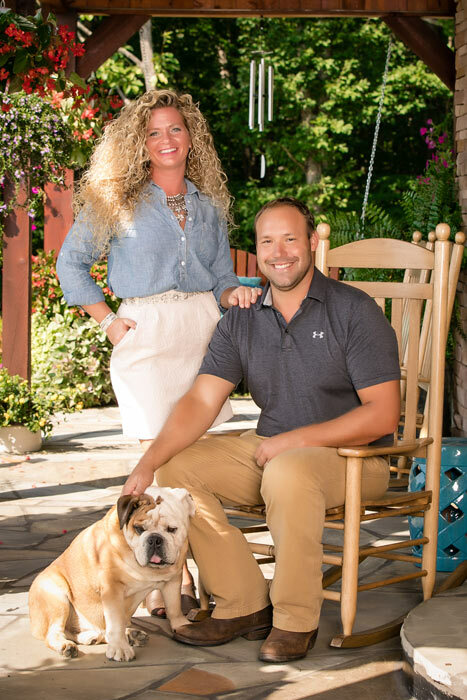 We have been building homes and making dreams come true for homeowners located in Franklin County, Smith Mountain Lake, Roanoke and surrounding areas in Virginia since 2002. We take pride in our work by catering to each individual needs, concerns, and desires, and making sure that when the job no matter how big or small the client is completely satisfied. We have built a business on dependability, honesty, and returning customers. We look forward to building a relationship with you. “No job is to big or to small” for Gardner Construction. We cater to each individual and their personal needs, whether it is a new home of your dreams, updating and adding to your existing home or even if you just need some help along the way on a current project you’re working on. With the level of service we provide, the possibilities are endless. A licensed and insured Class A contractor, Gardner Construction has been a BBB accredited business since 12/11/2014. Please contact us for your consultation and let’s get started on your dream project today. Cabell and his crew are great to work with. We re-built our lake home after it was stripped to the studs due to major mold damage. We also added a master suite, 2 additional bedrooms, a garage, basement, mudroom, outdoor shower, additional decking. We designed it together and bounced ideas off of each other. We continue to use Gardener Construction for projects. Highly recommend.Karoline C.
Gardner Construction remodeled our kitchen and I love the results. Cabell had great ideas and good resources for cabinets. I asked for a specific design for our floor and Cabell was excited to do something a little different and probably took a little more time. He was in daily contact about what was accomplished and what was not and why. He spoke with me not just my husband which I appreciated. We have recently started a much larger project – addition and some renovations and we chose Gardner Construction again. Cabell Gardner is easy to work with and he is involved in the day to day operations on the project. I highly recommend Gardner Construction.Ranessa G.
We used Gardner Construction for a complete home renovation. Cabell and crew were professional and worked with us through some very challenging problems. They met and exceeded our expectations. You can’t go wrong with these guys.Sean C.